Vannieuwenhoven has been charged in Marinette County with two counts of first-degree murder and one count of first-degree sexual assault. He will be back in court for an initial appearance on March 22nd at 2:00 p.m.
Marinette County Sheriff Jerry Suave discussed the arrest made in a 1976 cold case Friday afternoon. 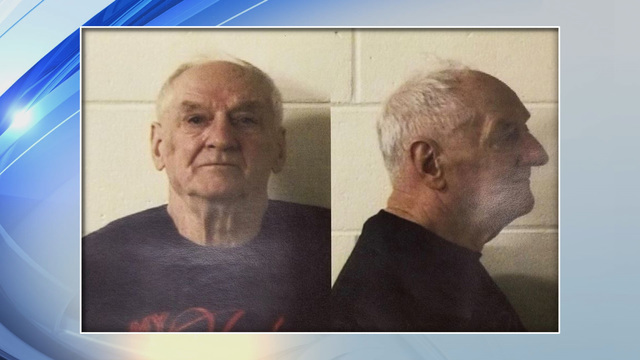 With the support of Parabon NanoLabs Inc., authorities have arrested 82-year-old Raymond L. Vannieuwenhoven, a 17-year resident of Lakewood, Wisconsin. The arrest was made on March 14th; Vannieuwenhoven is currently being held at Marinette County Jail. With continuous DNA analysis, Parabon suggested to investigators potential suspects to interview. That DNA analysis provided information as descriptive as potential suspects' surnames. Authorities say Vannieuwenhoven, "didn't seem too surprised" when arrested. At this time, investigators believe Vannieuwenhoven has a minimal criminal record. Vannieuwenhoven is said to be a widower with several children. A criminal complaint has not yet been filed and no word was given on when Vannieuwenhoven would have his initial appearance. Local 5 will continue to follow this story as it develops. The Marinette County Sheriff Jerry Suave says they have made an arrest in the 1976 double homicide cold case in Marinette County. More information is expected to released at a press conference Friday afternoon. The bodies of David Schuldes and Ellen Mathys were found in McClintock Park in the Town of Silver Cliff in July of 1976. The Green Bay couple had been camping when Mathys was sexually assaulted and both were shot. On Monday, the Marinette County Sheriff's Office released two new composites of the suspect in the McClintock Park double murder from July 9th, 1976 based on DNA analysis. The composites show what the suspect would have looked like at age 25 and age 65. The Marinette County Sheriff's Office has been working on the case for 42 years, and the sheriff said when he learned about the advanced DNA analysis technology, he knew it would be helpful in this case. The analysis cost about $4,000 and creates a composite based off of features like skin, hair, and eye color, and even includes the region where the person's ancestors came from. "What was clinching for me to make the investment in this case was watching the testimonials of other law enforcement executives and investigators who have solved crimes that are very similar to what we have here with this service," Sheriff Jerry Sauve with the Marinette County Sheriff's Office said. "So it was clear to me this is money well spent and we needed to do it." The sheriff said even if the suspect is dead, there is a possibility that the person could be exhumed to see if they are a match to the DNA evidence. The murderer had shot and killed 25-year-old David Schuldes, then sexually assaulted Schuldes fiance, 24-year-old Ellen Matheys, before shooting and killing her. The couple from Green Bay was camping in McClintock Park. The DNA sample of the suspect was from sperm found on Matheys' body. "I hope we can find him, and when I look at that, knowing what we know now, I've heard people say, 'looks like somebody I know,' and I think we're gonna get calls like that," Sauve said. The DNA analysis composites, done by a company called Parabon Nanolabs, has helped in cases around the country. If you have information on this case or recognize the suspect, call the Marinette County Sheriff's Office dedicated tipline, 715-732-7310.